(A coaching client of mine presenting in English). 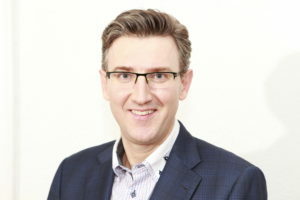 Hi, I’m Christopher Wright a presentations coach and welcome to my ‘Feel Good Presenting In English’ coaching program. “I need to do presentations in English in my job”, “I want to feel more confident”, “I want to know what to say and how” and “I need to practice with someone”. – what students say to me about presenting in English. Is this you? No one to practice with and no one to push you (good coaching feedback) to progress faster. Receive 5 emails in 5 weeks (one email and one speech per week). Speech 1 : Rosa Siles (Persei vivarium) – How to introduce yourself in one minute in English at events. 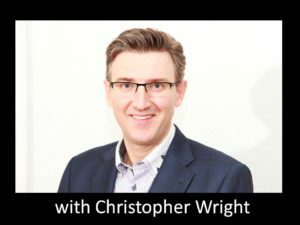 My name is Christopher Wright, I’m Co-Director at The English Training Company (TETC), a Business English Trainer, Presentations Coach and experienced public speaker with over 15 years experience. Also as a highly experienced public speaker, founder and ex-president of Toastmasters in Spain (public speaking organization in over 142 countries) I’ve given over 60 speeches in English and Spanish, plus over 80 workshops. In 15 years as a Trainer I’ve helped thousands of professionals to become more confident and effective when speaking and presenting in English. I also have several book and articles published by Amazon, Oxford University Press and McGraw Hill. TETC clients: Airbus, Amazon/Buy VIP, Google, Técnicas Reunidas, Iberdrola, Persei Vivarium and lots of other SMEs. “I really appreciate the speech structures that we have worked on. This helps me a lot when I have to speak in meetings.” – Sara, Senior Manager, Iberdrola. COURSE ONE PACK = €99.95 – receive 3 video coaching feedbacks from Christopher ++ 3 BONUSES INCLUDED – Value €30 (Bonus Speech ‘Inspire Change’; ‘Presenting in English 750 phrases’ ebook; ‘Better Business English: 60 Quick Techniques’ ebook). COURSE TWO PACK = €99.95 – receive 3 video coaching feedbacks from Christopher ++ 3 BONUSES INCLUDED – Value €30 (Bonus Speech ‘Inspire Change’; ‘Presenting in English 750 phrases’ ebook; ‘Better Business English: 60 Quick Techniques’ ebook). Do you still have hesitations? Don’t worry, I want you to be sure this program is for you. Here’s my simple guarantee: Do the coaching program for 5 weeks and the 5 speeches and if you don’t see noticeable progress, I’ll refund 100% of your money. When you are coached by someone, it’s important to feel good about the relationship. I put passion, energy, and all my teaching and public speaking experience into my programs and coaching feedback, because I want you to feel good presenting in English. And it works. Join the coaching program, and see for yourself. How much does it cost? The ‘4 Week Speaking Challenge’ is free and it includes 1 expert coaching feedback from me (Christopher Wright). The program (paid) offers a lot more – speech examples, support and either 3 or 5 coaching feedbacks. What English level do you need to participate? From intermediate to advanced English level (B1 to C1 English level). Highly motivated students see the most noticeable progress and the best results. How do I record my video speeches? – Each speech has a code, enter and then the program uses your laptop o smartphone camera to record your video speech for each speech topic. We recommend using earphones with a microphone. What if I only want to record audio speeches and not video speeches? – That’s fine, just cover your video camera and record the audio. We will give you feedback on your speech but not body language. What happens if I can’t complete the 4 weeks challenge? – You can join next month’s challenge. Are their deadlines? Yes there is a 5 week deadline for submitting your video recordings and coach feedbacks.